The rich tapestry of life comes together on this tour that spotlights cider, scenery and history. Welcome to the majestic landscape, half-timbered houses and unique culture of Normandy, France, where we’ll indulge in this famous cider-producing region. No need to be a cider expert to take this tour. We’ll start with the basics of cider, its history and importance in the region. Then explore other enjoyable beverages made with luscious apples, such as “the finest destination of the apple,” Calvados (apple brandy). In between is Pommeau, a gentle marriage between Calvados and freshly pressed tannin-rich apple juice, which delivers power and sweetness all at once. A good example of the cider producers we’ll visit is the family-owned Domaine Dupont. As you can see, many pleasures and delights lie ahead for the travelers on this tour. 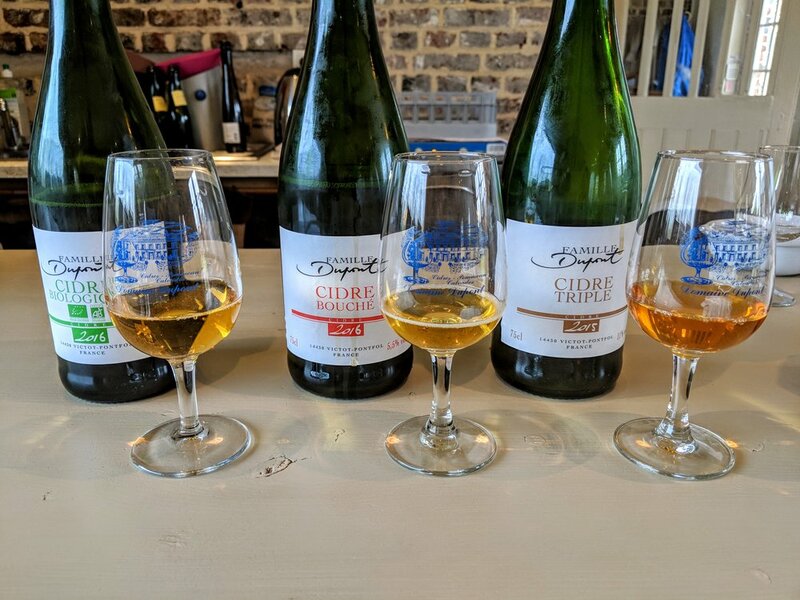 Normandy, with its fertile soil and temperate climate, has a proud tradition of cider dating to the 13th century, when the apple press was invented and at first was the drink of farmers. After a mini-ice age adversely affected the wine growing regions of Western Europe, nobles got in the game and started producing cider. Flash forward to the 1880s when a natural outbreak of vine predators set back the wine industry and boosted the popularity of cider. When wine recovered, politics and laws intended to suppress cider arose, but cider continued to hang on in some form especially in Normandy. Thanks to the diligence, persistence and pride of cider producers in this region, you will be able to enjoy their efforts fresh at the source today. This tour, however, will introduce you to more than cider. In addition to famous wine, you may be surprised to know that France has a blossoming craft beer scene, too. We’ll have opportunities to enjoy some of these beers along the way. 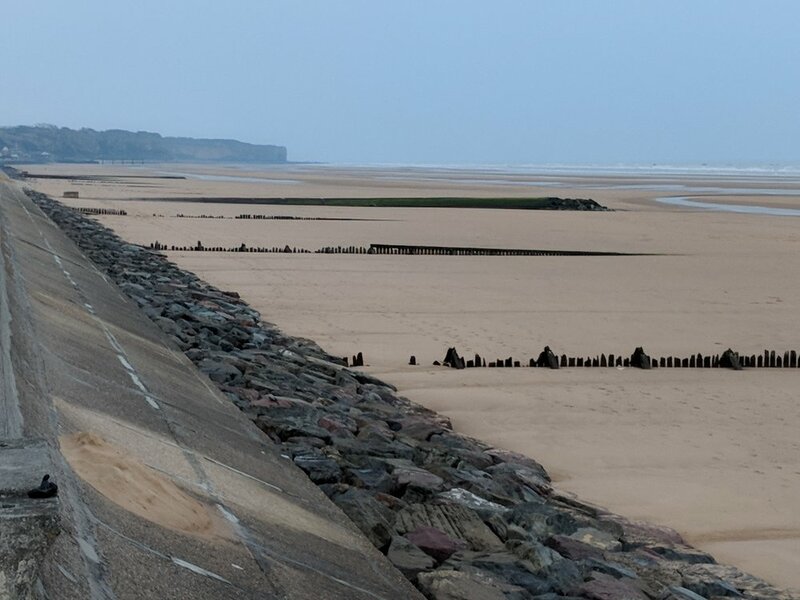 We will also dedicate an entire day to explore the WWII history of Normandy, and the D-Day 75th anniversary of Operation Overlord, where Allies launched the major offensive that changed the history of the planet. We’ll take a guided tour of some of the famous locations such as Omaha and Utah Beach, Sainte Mère Eglise (the first village liberated by the U.S.) and the Normandy American Cemetery & Memorial near Colleville-sur-Mer. It will be a fascinating, riveting and emotional day as we pay tribute to the men and women, who fought and died freeing the world of Nazi tyranny. A visit and overnight within eyesight of Mont Saint-Michel will be one of the centerpieces of this tour. It’s ever-changing light and endless photo opportunities is good reason to see it in the evening and morning. You’ve seen the striking images of this medieval monastery set on a small rocky island connected by a causeway off the coast of France, now you will get to see it with your own eyes. As we approach, it reveals itself in the distance like an impossible castle on the horizon. You will never forget the first time you see it from miles away. It looks like a giant and is so out of scale to the landscape that your logic tells you it cannot be real. We’ll also visit the scenic and famous enchanting fishing village of Honfleur. It’s so cute, you’ll just want to break out a palette, look across the harbor and start painting, or find a romantic sidewalk cafe, enjoy some cider, wine or beer and people watch. We’ll overnight in three locations: Honfleur, Mont Saint-Michel and Caen. The tour will begin Tubize, Belgium, (near Brussels) and end in Caen France, where you will be able to catch a train to Paris or the Paris Charles de Gaulle Airport. Alternately, you could begin the tour in Honfleur if your plans call to already be in France prior to the tour. — --Pete Brown & Bill Bradshaw, authors of World’s Best Ciders. Five nights accommodations in nice, friendly, centrally-located hotels often in the old town section of the city. An instant group of interesting and fun, cider and beer-loving friends you haven’t met yet. Guaranteed tour price the moment you submit your deposit. Some meals, cider, beer and drinks on your own. Gratuities, at your discretion, for cider producers tour guides and coach drivers. FRIENDS AND ENCOURAGE THEM TO JOIN THE FUN! Day Three, Wed., May 8 • Caen This morning we’ll take in the dawn’s early light on Mont St. Michel and enjoy one more visit, where you’ll have time to explore, shop and eat more in depth. Lunch is on your own. Afterward, we’ll depart for Caen, our home for the final three nights of the tour. On the way we’ll take our first crack at the famous Normandy Cider Route in the heart of the Pays d Auge for tours and tastings. Afterward we’ll check into our centrally-located hotel. Evening and dinner are on your own in historic Caen.